In Community Economic Development and Social Work, you’ll find innovative theoretical approaches to the newly emerging field of community economic development (CED). You’ll see how community leaders, residents, community organizations, social workers, city planners, local business owners, bankers, and/or investors can come together to promote successful CED. 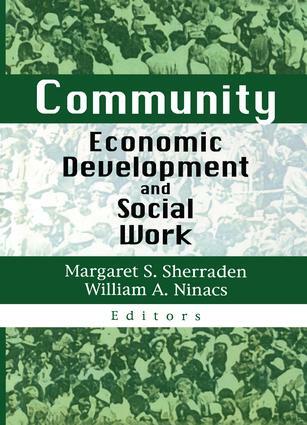 Contributors to this groundbreaking volume include internationally known scholars and practitioners who examine community economic development initiatives from a variety of perspectives and locales--CED is one of the few areas of applied social science where diffusion regularly occurs from “less developed” to “developed” countries. The variety of models and case studies in Community Economic Development and Social Work gives you practical ideas for effective economic development--development that empowers residents to break the cycle of poverty and offers hope and opportunity for the future--in low-income and minority communities.